Happy fall! Since this is the beginning of my favorite season, I made some front yard updates and got straight to decorating! 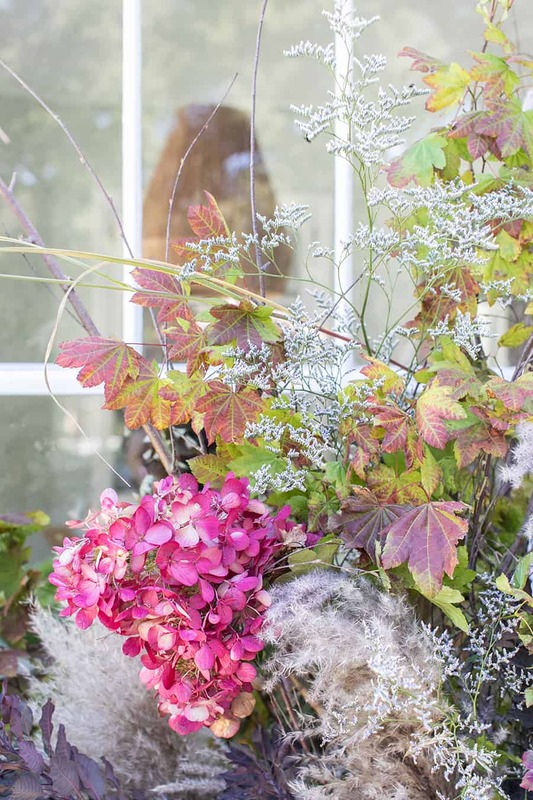 This year I took it up a notch and had my friend Erin come over and make a beautiful fall arrangement for the front patio. 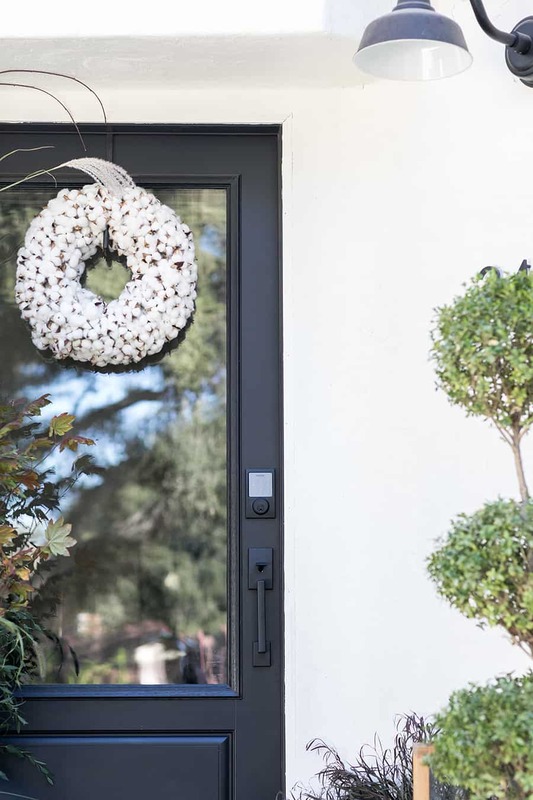 We recently got a new front door and I could hardly wait to decorate it this holiday season! 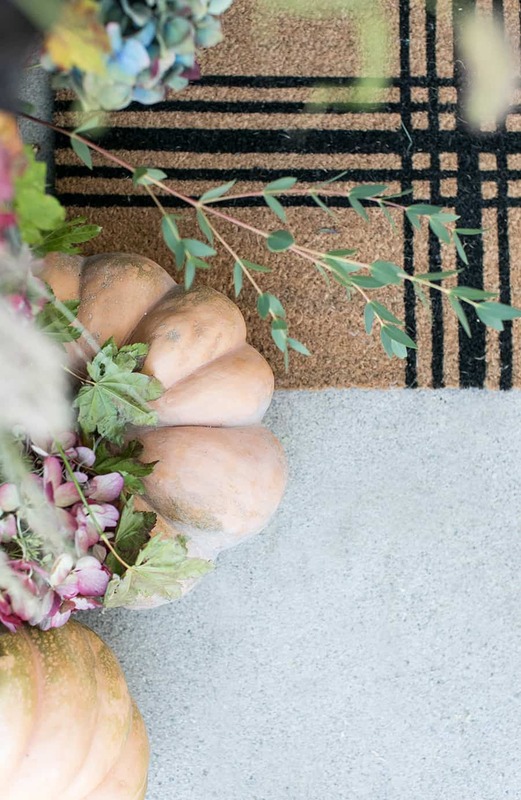 Here are the things we did to create a beautiful and welcoming fall porch. First, we added tall branches, fall foliage and fall leaves on one side of the door. Erin placed them in a plastic bucket full of floral foam and water. The branches stay snuggly in there and everything gets easily watered. I picked up some affordable fairytale pumpkins to place around the patio and cover the bucket. 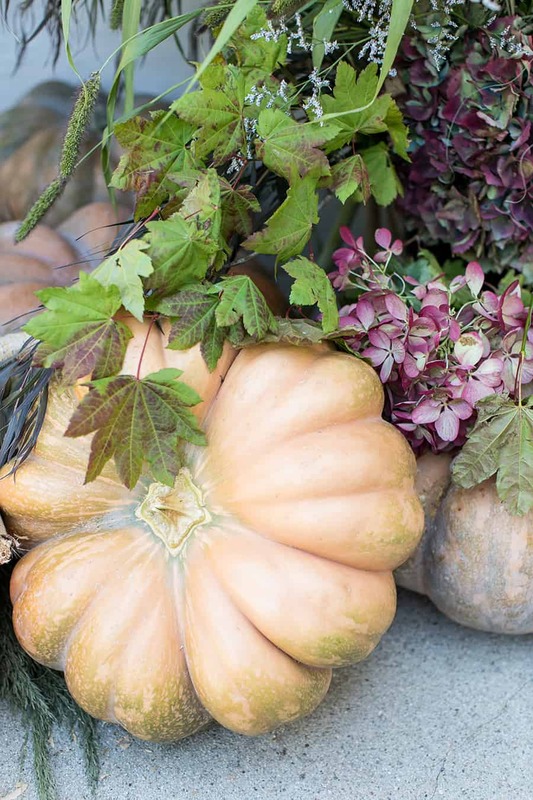 The more pumpkins, the better. To create a beautiful ambiance, I added lanterns and battery-operated candles. They automatically go on when the sun goes down and add beautiful flickering light to the front porch. It fees so inviting! 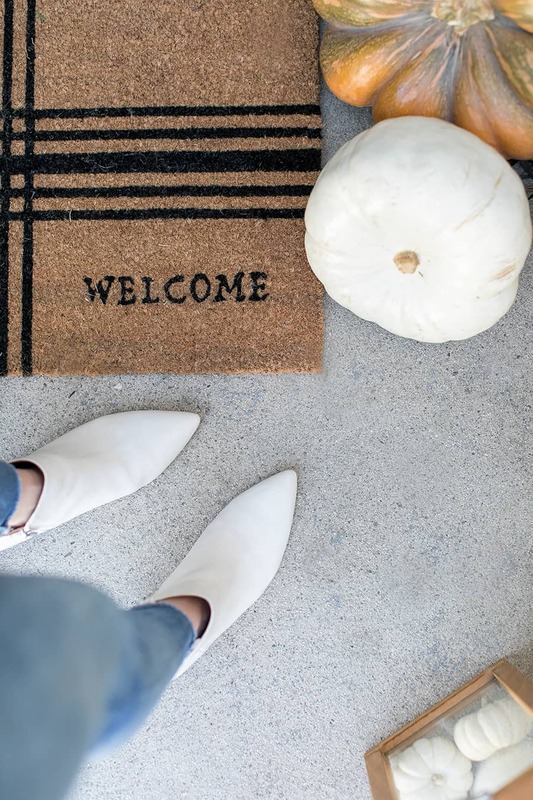 I like to update my doormat each season. For the autumn season I went with this one and I’ll change it out for Halloween! My door always has a wreath on it, no matter the season! 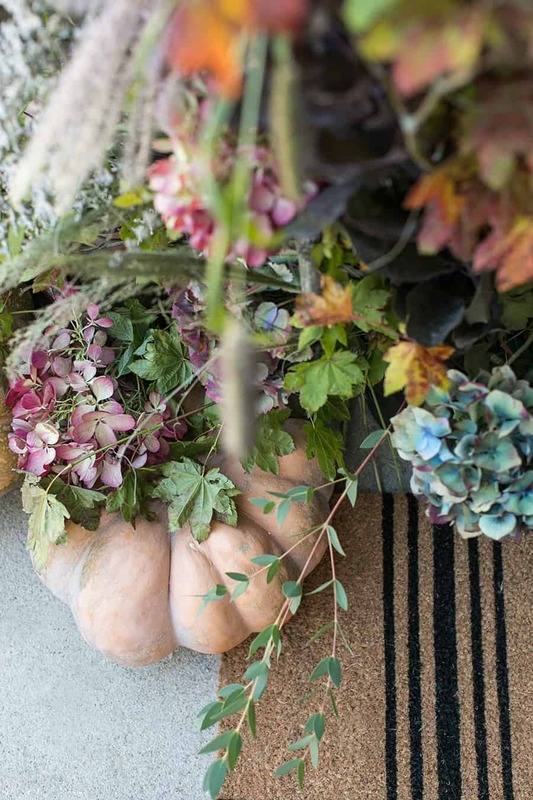 We switched out my summer lemon wreath with a cozy, fall cotton wreath. 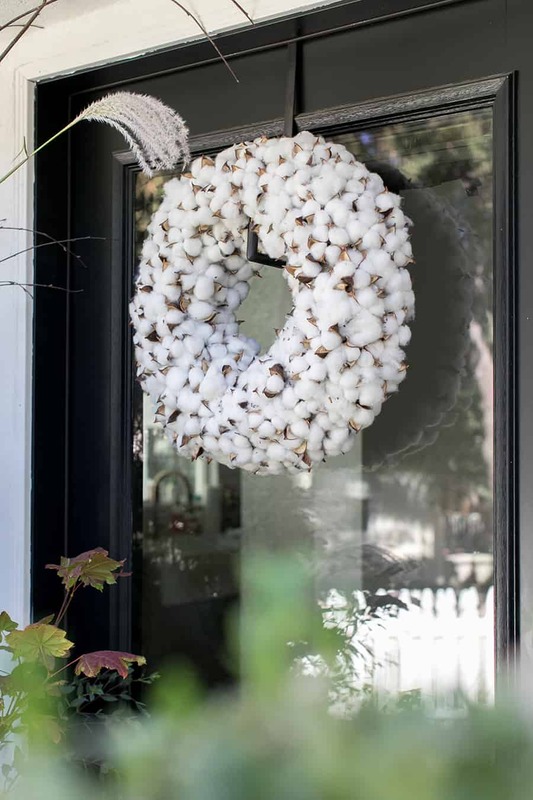 It looks gorgeous and it’s simple to hang using this wreath hanger. 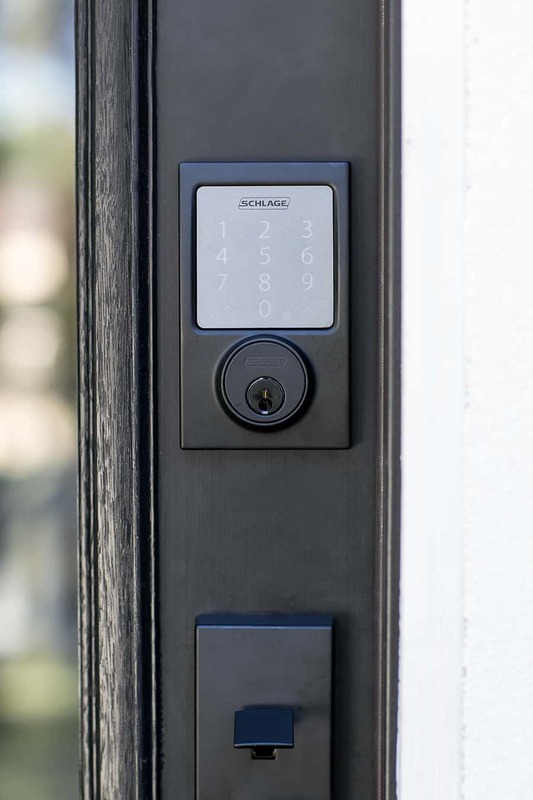 We also updated our front door lock with the Schlage Sense Smart Deadbolt. I have to say, if you have kids, this is crucial! No more missing keys or hiding the house key under the mat or giving it to your neighbor just in case you lock yourself out…. ahem. Nope, that hasn’t happened to me! But in all honesty, why didn’t we have this sooner? 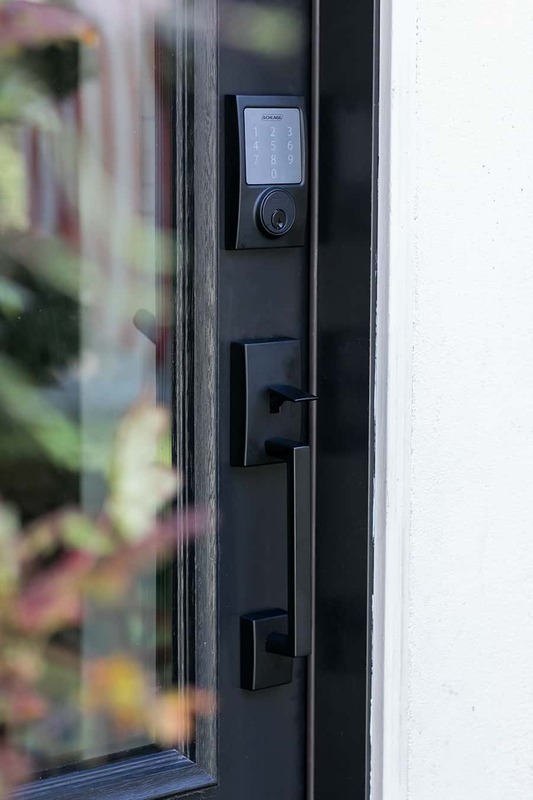 You can create up to 30 different access codes and, connect it to your smartphone over Bluetooth and unlock it from anywhere. If you don’t want to have it on your front door, it’s great for a garage door or back side door. You’ll never have to worry about locking your keys in the house again or hiding a spare key. 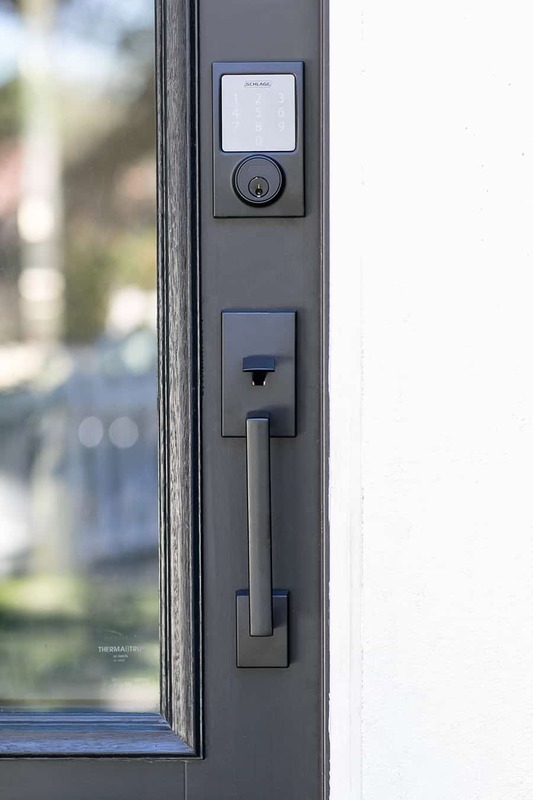 Schlage is also incredibly easy to install. They make their products consumer-friendly so you can install it yourself and not have to hire a contractor. You can purchase the one I have in matte black here. I love the way the matte black blends in with the door too. It’s seamless and clean. 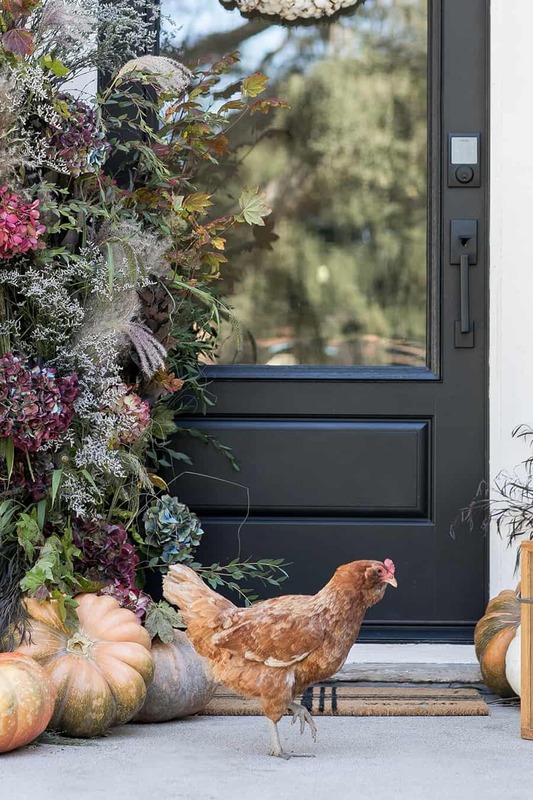 I hope you’re inspired to add some charm to your front door and patio this fall and let us know what you do at your house! This is a sponsored conversation written by me on behalf of Schlage . The opinions and text are all mine. Where do you buy the chicken, she is too cute. 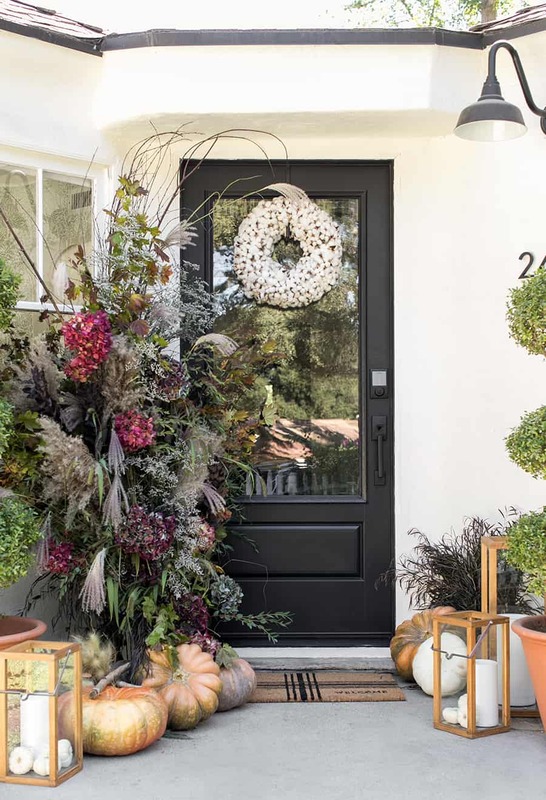 I love your tall front door arrangement, it is absolutely beautiful! !